Before Ever After is a treasury of rare and unpublished lecture notes, photographs and drawings which reflect the culture of learning that Walt Disney curated to raise the level of his artists in preparation for their first feature: Snow White and the Seven Dwarfs. Walt hand-picked instructors from the renowned Chouinard Art Institute to hold classes on action and drawing. He screened films for study. He brought in talent from Architect Frank Lloyd Wright to choreographer George Balanchine to humorist Alexander Woollcott to teach and inspire his team. The result is a stunning collection of transcripts and history which not only lay the artistic foundation for the animated art form, but also give us an intimate look inside the walls of Walt Disney's studio during a seminal and profoundly creative moment in time. Don Hahn is a writer/producer/director whose credits include the worldwide phenomenon The Lion King, the classic Beauty and the Beast, the first animated film nominated for a Best Picture Oscar and Maleficent starring Angelina Jolie. Don's books on animation, art and creativity include the best seller Brain Storm, the acclaimed Drawn To Life: The Complete Works of Walt Stanchfield and the much anticipated Before Ever After: The Lost Lectures of Disney's Animation Studio. 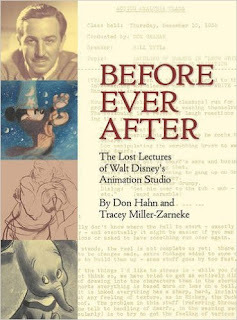 Before Ever After: The Lost Lectures of Walt Disney’s Animation Studio by Don Hahn and Tracey Miller-Zarneke is an amazing book! This is a must have for any Disney collector that is sure to add a bit of class and history to your collection. Each page is filled with Disney history and includes unpublished lecture notes, photographs and drawings. I love seeing the lecture notes and you really get insight into how dedicated Walt Disney truly was. The talent and dedication that you see throughout this book is amazing. 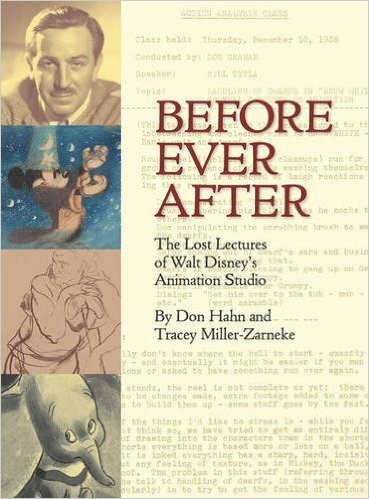 Before Ever After: The Lost Lectures of Walt Disney’s Animation Studio by Don Hahn and Tracey Miller-Zarneke is a beautiful book for displaying Disney history! You can find Before Ever After: The Lost Lectures of Walt Disney’s Animation Studio by Don Hahn on Amazon, Barnes and Noble and other bookstores.